Neon signs are a definite crowd favorite. They’ve been lighting up the streets of Calgary, Alberta since the mid-20th century. They bring a flair of retro nostalgia and appeal to establishments and shops. Unfortunately, the hotel was demolished in order to make way for the National Music Center. 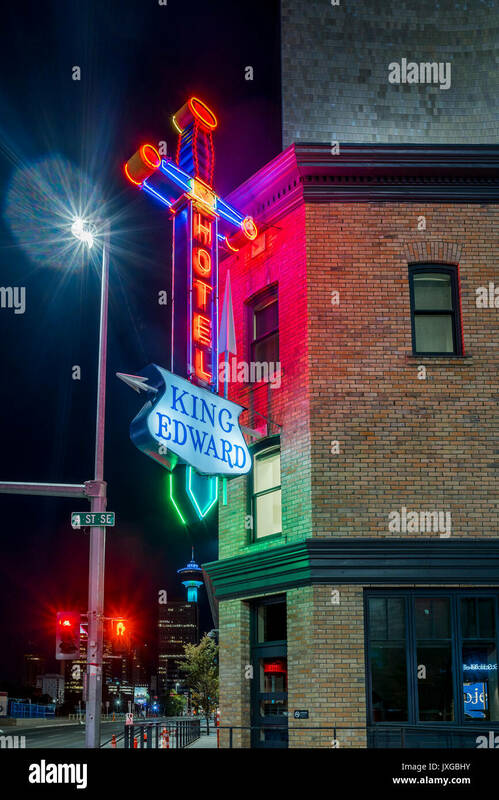 However, the façade and neon sign of the King Edward Hotel were preserved as a landmark of the previous establishment. In 2015, the King Edward sign was reinstalled after the construction of the National Music Center. An ice cream shop that celebrates all things vintage? This is definitely a gem that you can find in the heart of the city! 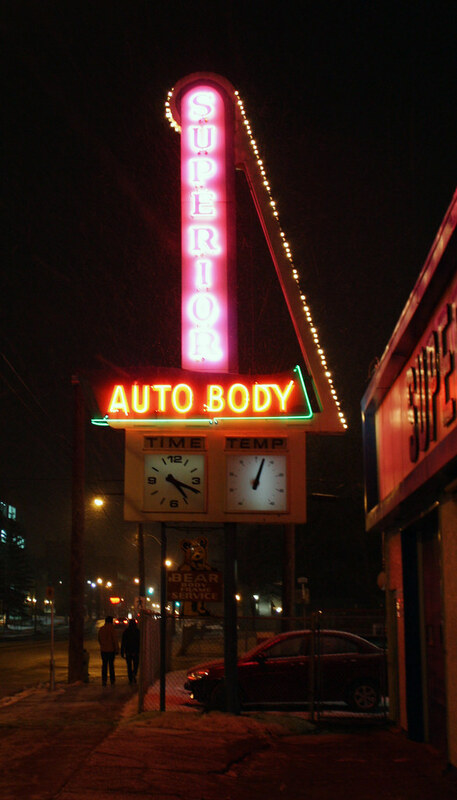 The original neon sign can still be found on the corner of 42nd Avenue and 20th Street SW. Even after all these years, it’s still a favorite hangout of the Calgary locals. Nothing screams 1950s vintage and retro than an old school five pin bowling alley! Paradise Lanes can be found along 17th Avenue SE and International Avenue in Forest Lawn with a neon bowling pin to match. This is a restaurant that took advantage of the neon sign craze! A fairly new establishment, it took a vintage Calgary sign from an old restaurant and put its own twist to it. They added their own name in neon on top of it and made themselves stand out. 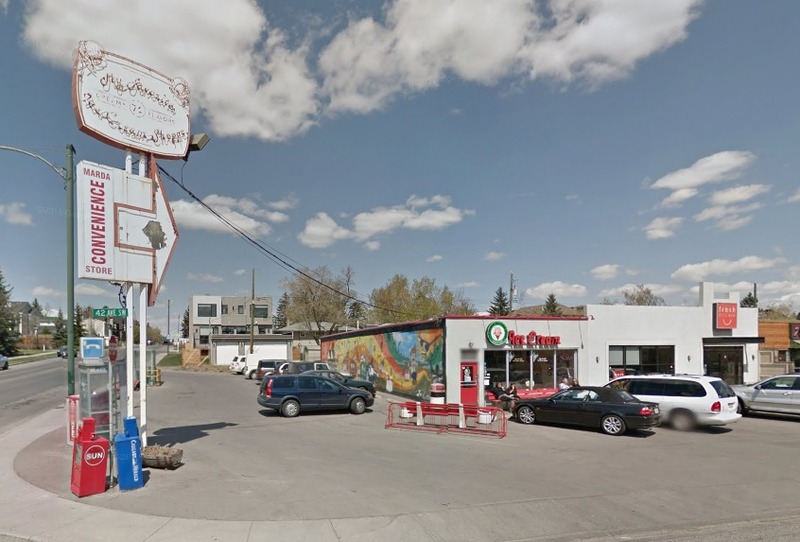 Established in the late 1930s, Pop’s Dairy Bar is a true Calgary classic. This Ramsey neighborhood ice cream shop is famous for its neon sign put up back in 1957. During warm summer nights, it lights up the street for hungry locals and tourists alike. It is unquestionably one of Calgary’s most famous neon signs and establishments. The St. Louis Hotel holds a rich history in this picturesque city. It was built back in 1914 and shared its place with a bar, barbershop, café, and cigar stand. It was designated as a Municipal Historic Resource last February 2008 by the city council. Presently, it is being renovated as a new venue for tenants in the business and commercial field. Built in 1939, it is the city’s oldest collision company. In 1946, it moved to 17th Avenue in Beltline just west of Mcleod. What stands in its area in the present day is the Economy Glass store. Up to now, both institutions are run by the Viner family. Its neon sign is a famous landmark in Calgary even 70 years later. Another long-standing establishment in this city, Sweet Home Bakery has been serving bread and pastries to the locals for quite some time. They have been here for more than 50 years and are quite known for their homemade bread and daily delights. Their neon sign is also quite recognizable, especially for the locals. Another tribute to the 1950’s period of retro appeal and neon stripes, the Tigerstedt neon sign remains standing today. It used to house Tigerstedt Photo Studios along Centre St. North in Crescent Heights. Though it has been a target for redevelopment and renovation for many years, its neon sign from the 1930’s remains untouched. Though the restaurant is long gone, the 4 Seas Restaurant neon sign remains. It can be found along 17th Avenue SE and International Avenue in Forest Lawn. Another restaurant named the Blue Diamond stands in its old spot, though the neon sign still stands. Neon signs are slowly making a comeback in this day and age! It’s a surefire way to grab anyone’s attention and make them take a second look. Neon signs have always been considered as great investments for establishments and storeowners alike. They are also quite unique, long-lasting, and easy to use and maintain for long-term use. If you’re thinking of getting a neon sign for your business front, consider reputable and experienced neon sign craftsmen! These artisans are sure to get the job done, and they can turn any sign you envision into reality. What’s great about neon signs is that they are made by hand. With careful design and planning, it can become a masterpiece fit to be put on display for everyone to see. Hiring a trustworthy and diligent neon sign design company also ensures that you’ll be getting your money’s worth with quality and safe neon signs.